April 20 (Saturday),10:30am – Join LifeWaters for a Discover Scuba! 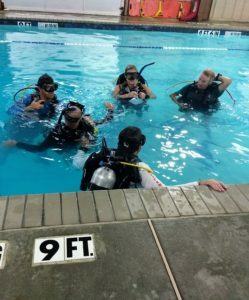 LifeWaters Scuba program is designed to help improve the lives of our disabled Veterans by offering discover scuba and scuba certifications through Scuba Diving International (SDI) (Scubility Program) as part of recreational water therapy. 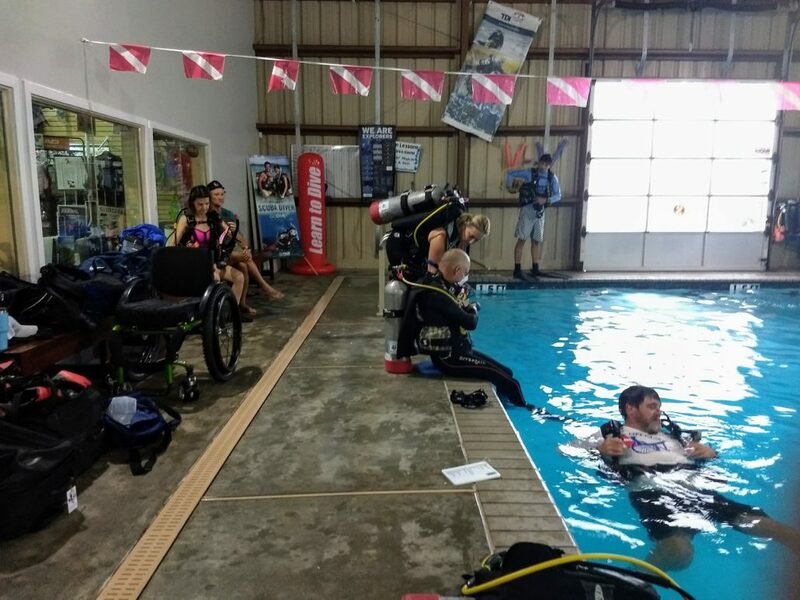 The program is run by dedicated staff volunteers to include SCI therapists, doctors, nurses, veterans and civilians who are passionate about helping any disabled veteran learn scuba diving. LifeWaters offers different services depending on your needs, desires, and skill level. We believe everyone can experience the beauty, serenity, and joy that diving can provide. Whether that is through our amputee scuba diving, disabled veteran scuba diving, or other scuba diving programs. We have the experience and passion help you succeed! Please contact Tonya at 281-445-3483 if you would like to sign up! If you are interested in becoming a Scubility Buddy to assist divers with disabilities, we offer this course also.